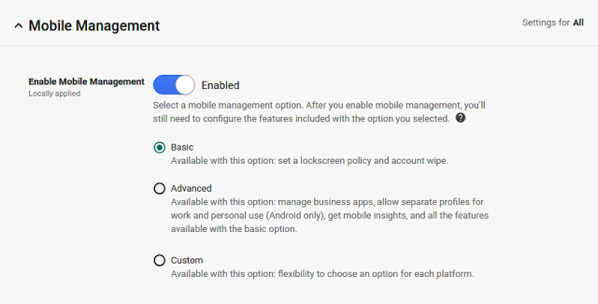 Google has today introduced a new Basic Mobile Management feature, that allows admins to manage their employees’ iPhones and iPads without MDM profiles. Previously, G Suite administrators who wanted their employees to use their own mobile devices at work, required an agent or profile to mandate corporate mobile policies but now, admins can mandate basic security on iOS devices without requiring users to install an MDM profile. Basic Mobile Management also relieves admins of the need to set up an Apple Push Certificate and the hassles of renewing that certificate regularly. With Basic Mobile Management, admins can enforce a screen lock., wipe a corporate account (but not the entire device) and view, search, and manage their device inventory. The tool also makes it easier for employees to set up their corporate accounts just like they would their personal accounts. 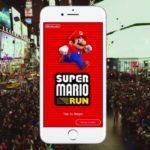 Google says that organizations that require additional restrictions, mobile audit, or application management on iOS devices should continue using the Advanced Mobile Management option. Furthermore, the agentless management is currently only available for iOS devices. For more details on Basic Mobile Management and how to get started, click here.